An Editorial Board will be in charge of evaluating the quality of the materials sent to the Journal. To do this, the double blind test procedure will be followed. The author will receive a response from the Journal Editor. The Editorial Board will be coordinated by the Secretariat for Lasallian Research and Resources at the Generalate in Rome. 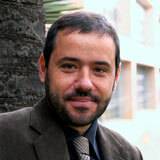 He is the Rector de La Salle Open University - UOLS and member of the board of IALU. He has a PhD in IT and IT management (Technology for education), and is currently working in improving the efficiency in learning by new methodologies and technologies, and studying the effects of the internationalization of education in the framework of IALU. From Bilbao, Spain. He did his formation in Irún, San Asensio, Salamanca and Rome. He earned the title of Master and Doctor in Theology. He specialized in the Theology of Education and in the History and the Theology of Consecrated Life. 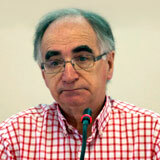 He is a professor emeritus of the University of Salamanca and the University of Deusto. Right now he is counselor of Lasallian Research and Resources Services at the Generalate. Currently serves at Saint Mary's University of Minnesota as Professor of Interdisciplinary Studies. 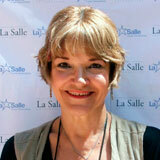 Fox teaches in the Lasallian Core Traditions program. Previously, she served Saint Mary's as Dean of the School of Business and Vice president for University relations. She has served on the board of Saint Mary's Press, on the Advisory Council for the Institute for Lasallian Studies and as the initial chairman of the Mission and Ministry Council for the Midwest District of the Brothers of the Christian Schools. Additionally, she was a delegate to the First International Assembly and works with IALU's summer leadership program. Her research interest centers on critical elements in Lasallian formation, women in the life of De La Salle and Lasallian higher education. He is presently an Associate Professor of Religious Studies and a Resident Director at Manhattan College in New York City. He also assists people in the ministry of spiritual direction. His studies include a Master of Divinity from Princeton Theological Seminary and a Doctorate of Ministry from Drew University. His research includes biblical models of spiritual direction and he writes on the topic of consecrated life in the 21st century. 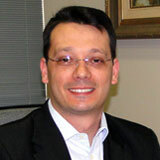 Vice-president of UNILASALLE Canoas, Brazil. Graduate in Philosophy. Specialist in Education, Educational policy and School Management. Has a Master's Degree and a Doctorate in Education. Author of books and papers about Educational theory and philosophy. 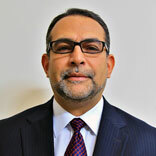 His research includes teachers training and educational theories and practices. He has a Doctorate of 3th Cycle in Philosophy. He wrote a thesis about Feminism and sense of the history. He has been a President of the Institut Supérieur en Sciences Pédagogiques et Religieuses (ISSPR) /Centre Lasallien Africain (CELAF) of Abidjan in the Côte d'Ivoire (2005-2011). 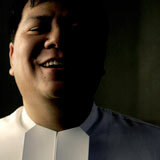 Today he is a member of the CIL Staff (Lasallian International Centre) in Rome. 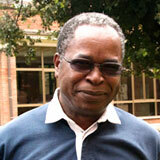 He has published books about African Education. His current research includes the education on vulnerability. He currently teaches at the Theology and Religious Education Department of De La Salle University, Manila, while working simultaneously as institutional animator for the College of St. Benilde. He is the current animator of the Philippines Sector's Lasallian Animation and Formation Office where he works with a team to design and implement formation programs for the Lasallian family. Br Michael finished his undergraduate studies in Comparative Literature from the University of the Philippines. He has a Master's Degree in Theological Studies from the Maryhill School of Theology and a Doctorate in Theology (with focus on Religious Education) from Ateneo de Manila University. He participated in the SIEL of 1998-99. Currently she is Co-Secretary of the Lasallian Education Mission Secretariat of the Institute of the Brothers of the Christian Schools and Chancellor Emeritus of De La Salle University, Manila. She has worked on School Management and Indigenous education in the Philippines. 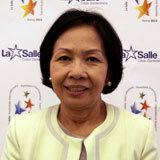 She is the trustee of about 16 organizations, 8 of them being La Salle Universities and Schools in the Philippines. She participates in another 8 Boards of other universities, NGOs and educational professional organizations. From Caracas, Venezuela. Brother of the Christian Schools. He did his formation in Lagos de Moreno and in Caracas. Graduated in Education, Biological Science, has a Master's in Educational Research and a Doctorate in Education. He specialized in political pedagogy. 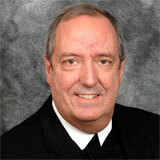 Currently he is the Coordinator of the Lasallian Research and Resources Service in Rome. His research includes the Cultural history of the Institute in the 20th century, Lasallian Pedagogy and digitalization of the La Salle Museum and Archives in Rome.